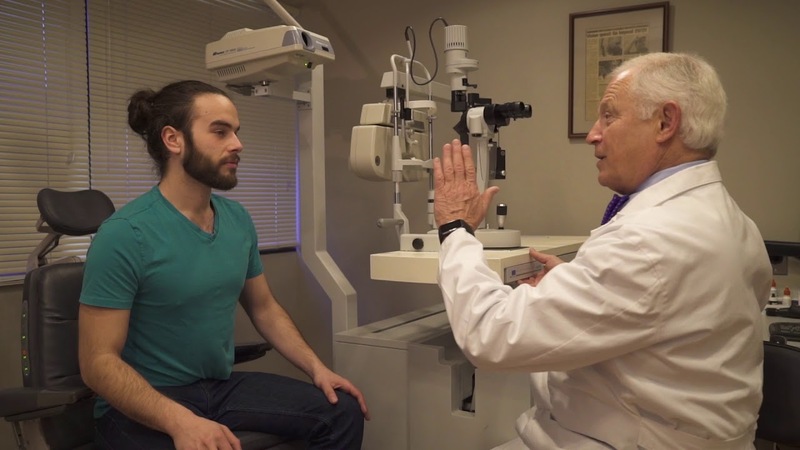 Dr. Siepser spent many years devoted to restoring sight to people who had suffered trauma or disease before ophthalmology entered the new era of improving sight for people whose vision issues could be corrected with lenses. Today, while he remains the go-to surgeon for some of the most complex cases in eye surgery, most of his practice is devoted to LASIK and other techniques for getting patients out of glasses and contacts to enjoy clear daily vision. He was, in fact, one of the first in the region to introduce LASIK, and has completed more surgeries individually than almost anyone in the country. When experience counts–and it always does–Dr. Siepser is the doctor to see. • International Society of Ophthalmic Endoscopy, Inc.
• 2017 Contributing author: “Operative Dictations in Ophthalmology,” ed. by Eric Rosenberg, Alanna Nattis and Richard Nattis, Copyright 2017 by Springer International Publishing. • Philadelphia Magazine, recognition as one of Philadelphia's "Top Doctors"
• American Society of Cataract and Refractive Surgery, 1994 Film Festival Runner-Up in Instruments/Devices Category -"New Technology for Transclerally Fixated Posterior Chamber Lenses and Reconstructive Surgery". • American Society of Cataract and Refractive Surgery, 1993 Film Festival Runner-Up for "Iris Protector Ring". • American Society of Cataract and Refractive Surgery Alcon Film Festival, Los Angeles, CA, First Place Winner in New Technique Category "Radial Transverse Incision for Small Incision Surgery". Dr. Pendrak Bush is a locally trained optometrist who manages primary vision care for patients of all ages, including contact lens and ocular disease management. Dr. Bush also provides exceptional post-operative care for many of Dr. Siepser’s surgical patients. We are sad to announce that Dr. Christine Chung, who sees patients at our Plymouth Meeting office, will be leaving Siepser Laser Eyecare at the end of June to refocus her career at Wills Eye Hospital in Philadelphia. If you are a patient of hers, you know how well respected she is. Dr. Chung’s current patients are invited to schedule with her colleague, Dr. Goldberg, who also treats patients at our Plymouth Meeting office. You can contact us at 610-265-2020 for any scheduling concerns. After many years with Siepser Laser Eye, I have decided to leave private practice and devote full time effort to mentoring the next generation of ophthalmologists in training at Wills Eye Hospital. During my time in practice we have moved thru various stages of life together and shared many personal ups and downs. I am touched and grateful for the trust you placed in me to care for you and your loved ones. During this transition, Dr. Goldberg and Dr. Siepser will continue to provide excellent care for all your needs. I know you are in good hands.